Living Poets Society Poetry Bookclub Meeting -- "What Is This Thing Called Love"
Living Poets Society, the BBS in-store poetry bookclub, will be reading and discussing What Is This Thing Called Love by Kim Addonizio for December. Kim Theresa Addonizio , Lucifer at the Starlite: Poems. Kim Addonizio's book Oakland Noir was available from LibraryThing Early Reviewers. Kim Addonizio's book The Art of Losing was available from LibraryThing Early Reviewers. 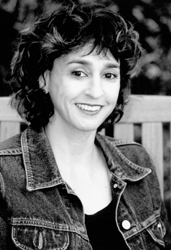 Kim Addonizio is currently considered a "single author." If one or more works are by a distinct, homonymous authors, go ahead and split the author. Kim Addonizio is composed of 2 names. You can examine and separate out names.